Participation is free (though registration will be required). Further details on the ethos and organisational structure of the LCCT can be found at londoncritical.org. Contact us at inquiries@londoncritical.org. The call for streams is now open for the 6th annual London Conference in Critical Thought (LCCT). The conference is a space for those who share theoretical approaches and interests, but who frequently find themselves at the margins of their department or discipline. LCCT is an inter-institutional, non-hierarchical, and accessible event which makes a particular effort to embrace emergent thought and foster new avenues for critically orientated scholarship and collaboration. There is no pre-determined theme for the conference. Instead, we encourage people to apply to organise thematic streams which attract responses from across disciplines. Stream proposals form the basis of our call for papers, and as such, are at the heart of the academic tone and content of each year’s conference. We welcome submissions that seek to stimulate a range of cross disciplinary responses. Our definition of critical thought is not prescriptive, however we encourage proposals which seek to identify a problematic that is non-specialist in the sense that it would be open to interdisciplinary engagement. Previous streams have been on diverse topics such as: New Materialisms; Dissenting Methods; Transdisciplinary Law and Culture; Radical Transfeminism; The Politics and Practice of “Just Making Things”; Re-thinking Political Violence; Memory and Law; Eating as Encounter; Legacies of the Immaterial in the Arts and Practice. A full list of past streams, panels, and papers can be found on our website: londoncritical.org. Stream organisers are integral to the working of the conference; those whose proposals are accepted will be expected to take an active role as stream coordinators working in the LCCT organising collective. Further guidance, including what it means to be a stream organiser, how streams and papers are selected, examples of successful proposals, and more information on the ethos and organising structure of LCCT can be found on our website at londoncrtical.org/how If you have any questions please don’t hesitate to get in touch at inquiries@londoncritical.org. LCCT 2016 is hosted and supported by the London South Bank University, School of Law and Social Sciences. The deadline for submissions is the 9th January 2017. Proposals should not exceed 500 words and should be sent to stream-subs@londoncritical.org. Streams organisers will have the opportunity to submit a version of their proceedings for consideration for publication in the London Journal of Critical Thought (LJCT). 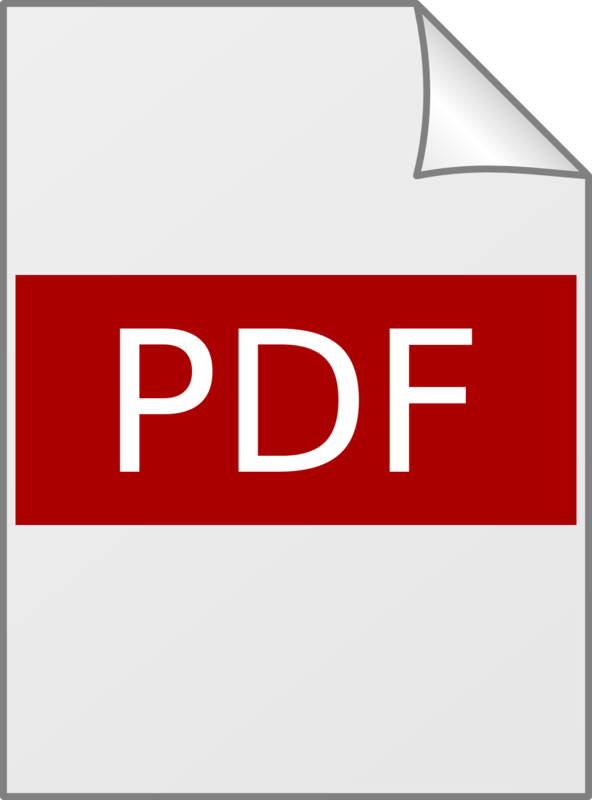 This open access publication is intended to provide an alternative to standard academic publishing. Stream organisers are encouraged to collate a short article that reflect the dynamic, emergent and interacting nature of the conversations and themes of the conference, rather than isolated pieces. The best indicator of what we will be looking for is our first issue which can be found at londoncritical.org/journal, along with more information on the journal and the selection and editorial process involved. We’re pleased to announce the online launch of the inaugural issue of the London Journal of Critical Thought (LJCT). Registration is now open for the 2016 conference. LCCT is free and open to all. Below is a poster for the conference – click the image for a PDF. If you’re planning on attending, please consider printing the poster and putting it up in your department or sharing it! The fifth annual London Conference in Critical Thought (LCCT), hosted by the Birkbeck Department of Law, will offer a space for an interdisciplinary exchange of ideas for scholars who work with critical traditions and concerns. It aims to provide opportunities for those who frequently find themselves at the margins of their department or discipline to engage with other scholars who share theoretical approaches and interests. • Publishing Critical Thought: Media, Infrastructure, Content. Please send paper/presentation proposals with the relevant stream indicated in the subject line to paper-subs@londoncritical.org. Submissions should be no more than 250 words and should be received by the 28th March 2016. The call for streams is now open for the 5th annual London Conference in Critical Thought (LCCT). The conference is a space for those who share theoretical approaches and interests, but who frequently find themselves at the margins of their department or discipline. LCCT is an inter-institutional, non-hierarchical, and accessible event which makes a particular effort to embrace emergent thought and foster new avenues for critically orientated scholarship and collaboration. We welcome submissions that seek to stimulate a range of cross-disciplinary responses. Our definition of critical thought is not prescriptive and the conference as a whole should reflect the state of contemporary critical thought. Previous streams have been on diverse topics such as: New Materialisms; Dissenting Methods; Transdisciplinary Law and Culture; Radical Transfeminism; The Politics and Practice of “Just Making Things”; Re-thinking Political Violence; Memory and Law; Eating as Encounter; Legacies of the Immaterial in the Arts and Practice. A full list of past streams, panels, and papers can be found on the past conferences pages. Stream organisers are integral to the working of the conference; those whose proposals are accepted will be expected to take an active role as stream coordinators working in the LCCT organising collective. Further guidance, including what it means to be a stream organiser, how streams and papers are selected, examples of successful proposals, and more information on the ethos and organising structure of LCCT can be found on our website. If you have any questions please don’t hesitate to get in touch at inquiries@londoncritical.org. LCCT 2016 is hosted and supported by the Birkbeck Law Department, University of London. The deadline for submissions is 1 December 2015. Proposals should not exceed 500 words and should be sent to stream-subs@londoncritical.org. This year at the conference we will be launching the first issue of the London Journal in Critical Thought, associated with the LCCT. This open access publication is intended to provide an alternative to standard academic publishing, representing the dynamic, emergent and interacting nature of the conversations and themes of the conference, rather than isolated pieces. More information on the journal, and the selection and editorial process involved, can be found on the journal pages. LCCT 2015 will take place on 26-27 June 2015 at UCL. You can register for LCCT 2015 through Eventbrite. The fourth annual London Conference in Critical Thought (LCCT) will offer a space for an interdisciplinary exchange of ideas for scholars who work with critical traditions and concerns. It aims to provide opportunities for those who frequently find themselves at the margins of their department or discipline to engage with other scholars who share theoretical approaches and interests. Please send proposals for 20 minute papers or presentations, with the relevant stream indicated in the subject line, to paper-subs@londoncritical.org. Submissions should be no more than 250 words and should be received by the deadline of MONDAY 16 MARCH 2015. The conference will take place on 26th and 27th June 2015. Participation is free (though registration will be required). The call for streams is now open for the 4th annual London Conference in Critical Thought (LCCT). The conference is a space for those who share theoretical approaches and interests, but who frequently find themselves at the margins of their department or discipline. LCCT is an inter-institutional, non-hierarchical, and accessible event which makes a particular effort to embrace emergent thought and foster new avenues for critically orientated scholarship and collaboration. We welcome submissions that seek to stimulate a range of cross-disciplinary responses. Our definition of critical thought is not prescriptive and the conference as a whole should reflect the state of contemporary critical thought. Previous streams have been on diverse topics such as: New Materialisms; The Soul at Work and in Debt; Feedback Loops of Feminist Theory and Practice; On Representation/Non Representation; Dissenting Methods; Transdisciplinary Law and Culture; and Sociocultural Criticism After Lehman Brothers. A full list of past streams can be found on our website. Those whose proposals are accepted will be expected to take an active role as stream coordinators working in the LCCT organising collective. Further guidance, including what it means to be a stream organiser, how streams and papers are selected, examples of successful proposals, and more information on the ethos and organising structure of LCCT can be found here. If you have any questions please don’t hesitate to get in touch at inquiries@londoncritical.org. LCCT 2015 is hosted by the UCL department of Anthropology and supported by the UCL Joint Faculty Institute of Graduate Studies, the UCL department of Geography and the London Contemporary Dance School. The deadline for submissions is the 12th January 2015. Proposals should not exceed 500 words and should be sent to stream-subs@londoncritical.org. This entry was posted in conference, news on November 17, 2014 by admin. 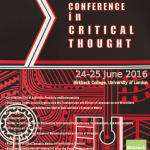 The London Conference in Critical Thought is finished for another year. Thanks to all who participated, attended and joined the conversations – and to the collective (especially but not limited to Anna, Vic, Sam W, Ed, Matt, Tiffany, Eva, Ruth, Sam B, Linnette, Henry, Nathan, Toby, Chrysi). We’ll be following up with announcements about LCCT 2015, but if you’re interested in getting involved, or if you’d like to know more about LCCT in general, please get in touch – our contact details are in the sidebar. If you made any recordings of LCCT 2014, we’d be very interested in hosting them on this site. Please get in touch with Matt if you’ve got some that you’d like to share.